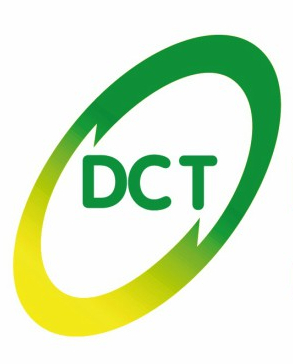 Dorset Community Transport (also known as DCT) forms part of ECT Charity which is both a charity and a social enterprise that combines business thinking with social values to deliver high quality transport services that positively benefit the local communities. DCT’s community-based door-to-door transport services help keep disabled, isolated and/or lonely people independent and mobile, as well as less isolated and lonely. ECT Charity has established a track record for high-quality, efficient services that users appreciate for their personal approach, safety and security. In 2012 ECT Charity delivered, as lead partner, the London 2012 Accessible Shuttles project on behalf of the Olympic Delivery Authority, and DCT was proud to provide the accessible bus shuttles for spectators visiting the London 2012 events at Weymouth and Portland. Mayor Boris Johnson hailed the team “the unsung heroes” of London 2012. In 2014, ECT Charity provided a high-quality Accessible Shuttles service for the Invictus Games. In 2015, ECT Charity provided a very well received Accessible Shuttles service for the Rugby World Cup, covering all matches played at Twickenham and the Olympic Stadium throughout the six week duration of the tournament. DCT is dedicated to supporting and enabling independent living, reducing isolation and encouraging social interaction, especially for vulnerable people such as older or disabled people or those with mobility difficulties who struggle to leave their homes. We do this through the provision of transport services for people that have serious obstacles in accessing other forms of public transport due to mobility, financial difficulties or because their local bus services have been withdrawn. In addition to individual transport, we also provide group transport to local voluntary, community and social groups. This enables them to broaden the reach and range of their services, facilitating social cohesion and community engagement. We further build partnerships with local befriending organisations in Dorset that helps us identify and encourage lonely and socially isolated elderly people to use our services and to get out of their homes. 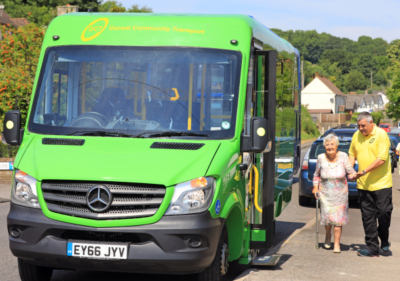 DCT’s community transport services have been developed to cover unmet local needs, benefiting local residents as well as community organisations. We enable disabled, isolated and lonely people to remain independent and mobile and we support community participation and engagement. Our door-to-door PlusBus service allows isolated residents to book a return journey to neighbouring villages or market towns. This can facilitate a flexible and demand responsive service for shopping, health and other social reasons. Our partnership with the community self-help group, Bus2Go, enables outings and daytrips for residents in remote villages with no bus services, allowing them to shop, socialise with friends and visit areas of interest. Our Group Transport service enables local community, voluntary sector groups or organisations to use our minibuses to deliver their own charitable activities and to be inclusive in their service deliveries to people who may have mobility difficulties or no access to transport. The Best Foot Forward Leg Club in Dorset provides community-based treatment and support for people who are experiencing problems with their legs. Older people with leg ulcers or swelling, for example, may suffer pain which makes them less mobile and therefore risks them becoming more isolated and their condition worsening. Since 2015, DCT has provided door-to-door transport for the club’s members. Many of these people live in rural areas which are poorly served by public transport and, without our minibus, they would have no other transport option than unaffordable taxis or lifts from friends or family. Our research has shown that using PlusBus improves the confidence of our users, making them more likely to use other door-to-door transport for other types of trips and outings. Through regular engagement such as speaking at conferences and directly to local government officials, continuing promotion of our work with Deloitte, we highlight the issues of loneliness and isolation; and the solution and value that community transport adds in helping to address them. During the financial year 2017/2018 DCT added £326,000 of social value to the community through reductions in health and social care costs that were afforded by the increase in independent living, improved health of our service users, provision of affordable trips to community groups and provision of training opportunities. 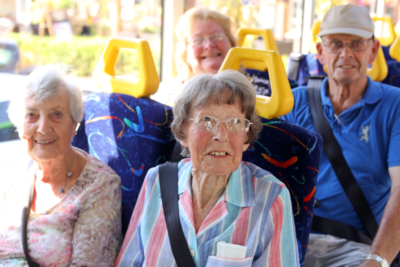 Community transport increases social interactions and improves the physical and mental wellbeing of isolated people. In the UK, 30% of older people say they would like to go out more often and 17% have no contact with family, friends or neighbours all week. By providing transport to otherwise isolated or excluded people, community transport contributes to reducing isolation and developing sustainable communities. These door-to-door services, delivered using wheelchair accessible vehicles, are often the only way in which some individuals can go out of their homes. It enables users to live independently: shopping, socialising with friends and going on day trips. 80% of our charity’s PlusBus door-to-door passengers said they would find it significantly harder or impossible to go out without our services. We have well developed reporting systems at every level of the organisation which monitor and review our impact through our activity levels on a monthly basis. These in turn feed into the operational work that we do. We also collect wellbeing information from users and do regular follow ups through surveys and questionnaires. We further interview our passengers, their families and carers, and these stories are used for case studies and publications. As previously discussed these impact figures are used to calculate the social value created. The board of trustees will review these figures at their meetings comparing to a previous quarter and how it changes for each type of service. In financial year 2016/17 DCT provided door-to-door transport to 1225 individuals and 200 VCS groups in Dorset, delivering 214,000 trips creating £300,000 of additional social value to the community in the same year. Our social value captures the following outcomes: enabling independent living, facilitating social interaction, enabling affordable trips for voluntary and community groups. These lead to reductions health and social care costs as the increase independence living and enable the sustainability of health. In April 2016, Dorset County Council was forced to reduce its spending on public transport which meant that council subsidies for 26 rural bus services were stopped. This left many villages with no public transport service whatsoever, putting at risk the health and wellbeing of thousands of residents with no transport of their own. In deregistering the services, commercial operators demonstrated they were not interested in providing a service for these unprofitable routes. Fortunately, DCT had the vehicles and experience necessary to step in to offer an alternative. As part of our organisation’s charitable objectives, we initially subsidised two of the services ourselves and we used our knowledge of the local area to work with parish councils to identify funding for other routes. Today, we run 18 accessible, door-to-door routes where no public transport exists. This means that we are a vital service for people, particularly elderly people, disabled people and young families without their own car. Without our service, they would not be able to get to the shops, attend medical appointments or get involved in many community activities. The local community is so grateful for this service that the local press have published multiple articles about it (examples here and here). health or social care professionals. The Wave Project, which is a charity backed by The Big Lottery Fund and the NHS, aims to help them increase their self-confidence and overcome anxiety. Children come to the course from all over the county, many from families who are unable to afford the travel to and from the coast, or where disabilities, drug or alcohol abuse mean that access to transport is limited. DCT provides transport for the Wave Project to ensure that no child is unable to attend because of transport problems. Our drivers’ training encompasses caring for groups of children, including those with disabilities, and they must complete the necessary criminal records checks. There are no other transport operators in the area which could provide this affordable and safe service to the Wave Project charity. The Best Foot Forward Leg Club in Poole, Dorset, opened in October 2015. Since then it has become a ‘hub’ of activity for the local community, providing evidenced-based, effective clinical care and companionship for many people. When the Leg Club first opened there were many patients with long term, hard to heal lower leg ulcers and related problems. Prior to attending the Leg Club, their only choice was to attend their local surgery for their treatment, or be treated in their own homes if they had mobility problems. This often led to isolation and loneliness, leaving patients with a feeling of poor self-esteem and low mood. A vital aspect of the success of the Leg Club is that Leg Club’s members have started to use other accessible community transport services to and from their homes. Without the specialist door-to-door service PlusBus, they would be unable to leave their houses even if local bus services existed. We are dedicated to the safety of our passengers and all road users; we provide Minibus Driver Awareness Scheme (MiDAS) training to all drivers who drive our minibuses, which includes training in disability awareness and use of specialist equipment in the carriage of wheelchair users. We reinvest our surplus each year to provide affordable transport to community groups, enabling them to carry out their own charitable activities. We also have a Transport Fund providing credit of up to £1,000 to voluntary and community organisations to offset the cost of transport provided by DCT for new or additional social opportunities for lonely and isolated individuals. DCT is committed to minibus safety in the wider community. We provide Minibus Driver Awareness Scheme (MiDAS) training to drivers for organisations who operate their own minibuses. DCT’s minibuses are made available for local community voluntary sector groups during off peak hours, evenings, weekends and school holidays at affordable, marginal rates. During the financial year 2017/2018 DCT added £326,000 of social value to the community through reductions in health and social care costs that were afforded by the increase in independent living, and sustainability improvedof health of our service users, provision of affordable trips to community groups and provision of training opportunities. DCT staff participate in local Transport Access Groups (TAG) and other community forums. ECT Charity’s CEO is Chair of Mobility Matters, a campaign group set up to ensure that community transport organisations in the UK are able to continue to operate to meet the diverse travel needs of individuals and communities, and that appropriate operational legislation is in place to achieve this. ECT Charity has created a methodology whereby other community transport organisations can measure their social value (described in detail above). DCT offers Dementia Awareness Training to its drivers under the Dementia Friend scheme.